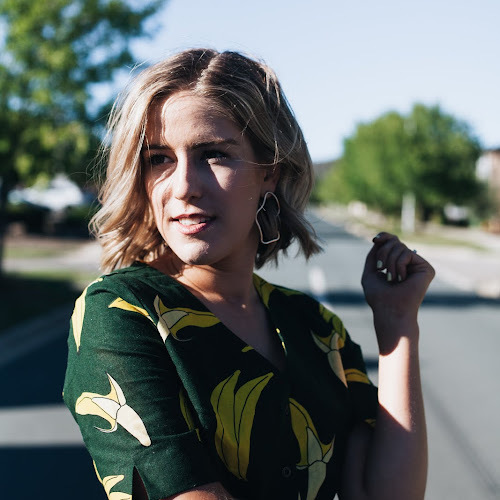 For those of you who haven't heard me talk about 'me time' before, here is a little blurb from my last post: I talk about 'me time' all the time and how important it is in my life. 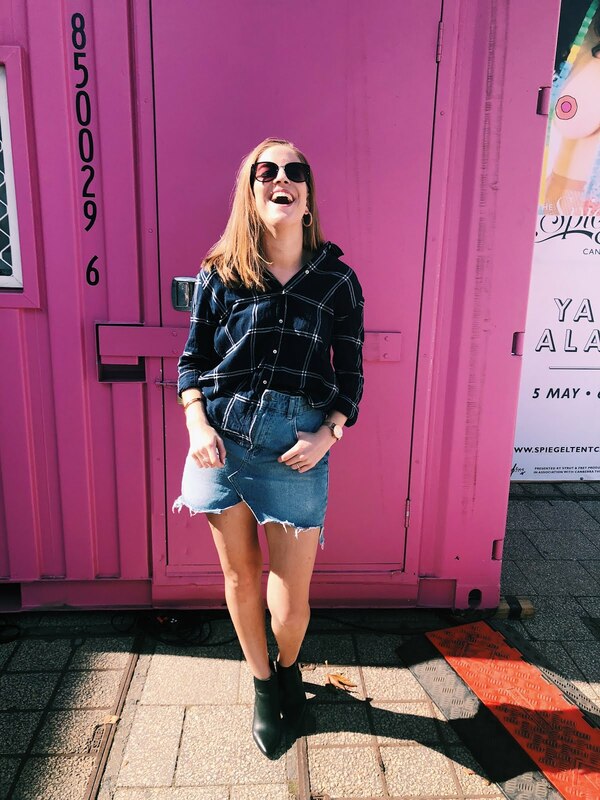 Taking some time for yourself each week is a great way to help relieve stress as well as keeping you feeling fresh and revitalised. It helps you not only be better company with others, but also get in touch with yourself, by learning how to put yourself first. 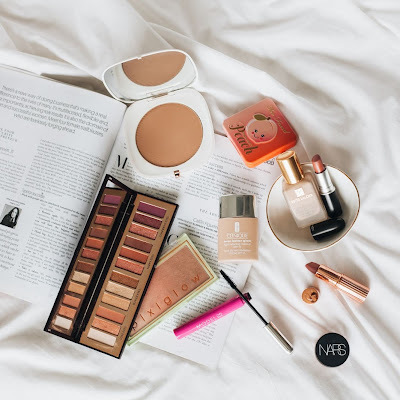 I wanted to share with you what my typical pamper session consists of, to inspire you to take some me-time for yourself this week! 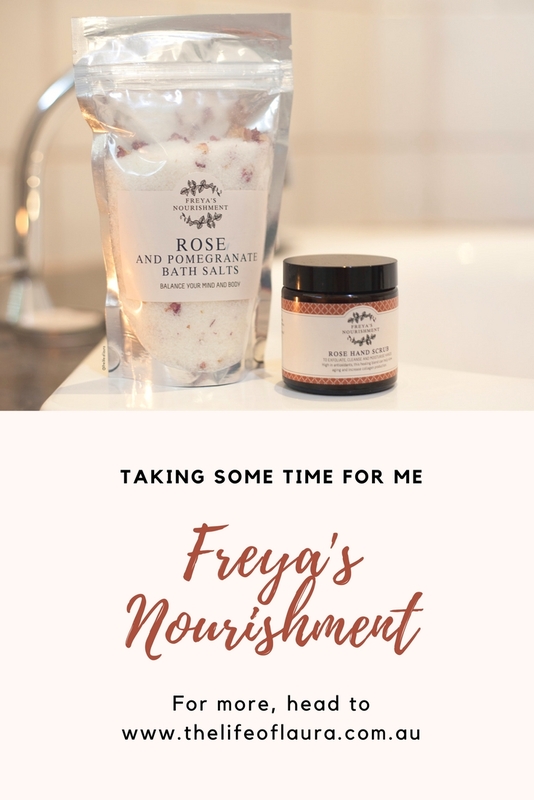 Today I will be pampering with Freya's Nourishment, a gorgeous Australian brand that I discovered in a Peony Parcel a few months ago. Freya is the Nordic goddess of love and beauty. From a love of making our own natural products, both for ourselves and for gifts, grew Freya's Nourishment as she is today. 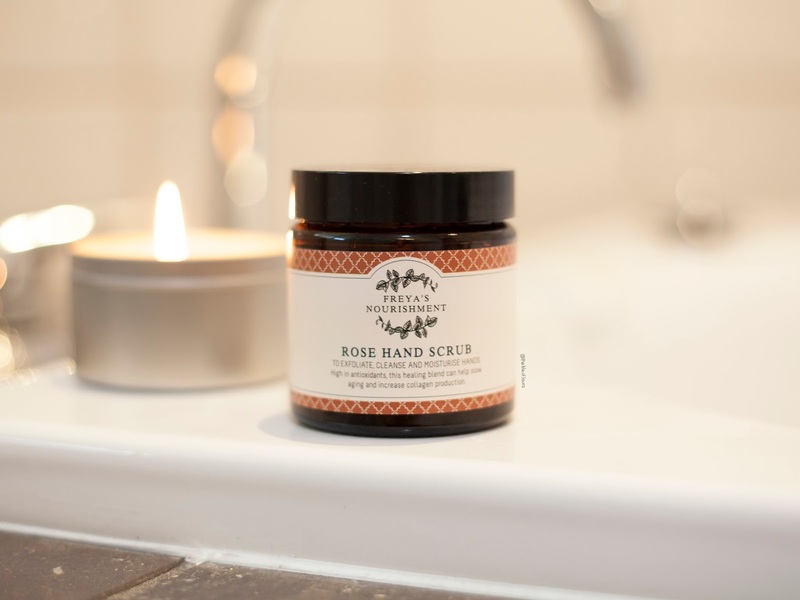 A desire for beautiful natural products that leave you feeling pampered, some every day luxury.They take family recipes with a contemporary twist and all of the products are completely hand made. Conscious living is important to us so we do not use any artificial products and are cruelty free - no testing on animals. Freya's Nourishment is a lifestyle of natural beauty, both inside and out. Basically, they are a beautiful, thoughtful and natural company that makes the most gorgeous products either. Let's begin the pamper though. An important thing for me is to set the scene for my pamper session. I like to go around the bath room and light a bunch of candles. It differs with every bath on how many candles I want to light. If they smell delicious by themselves, like the Freya's Nourishment ones do I will often just light a single candle on the edge of the bath to give a really aromatic experience. 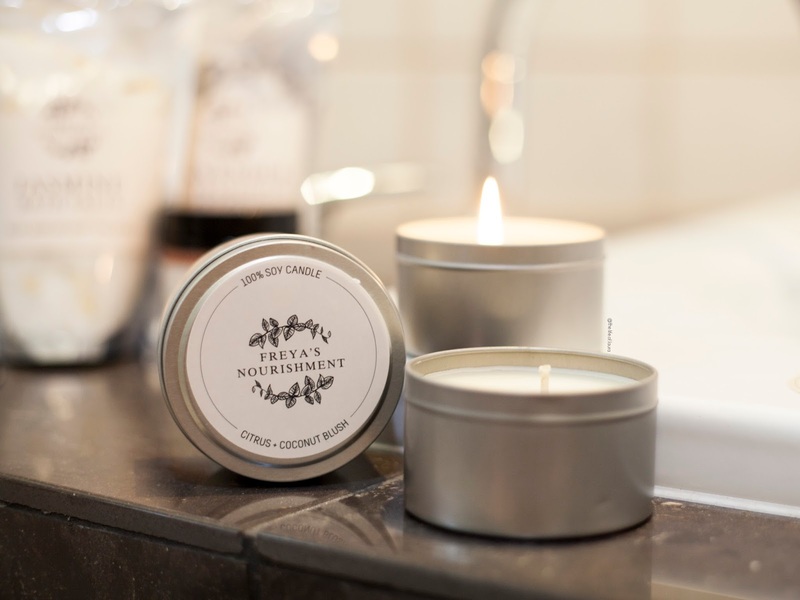 Freya's has six different candle scents that you can either get in small tins or as beautiful large candles. For this particular bath I went for the Citrus and Coconut Blush* scent. It is refreshing and uplifting scent, that is the perfect way to revitalise your mind and senses. Just like almost every single pamper session I have, it takes place in the bath tub. Now that I have lit the candles it's time to start running the bath. 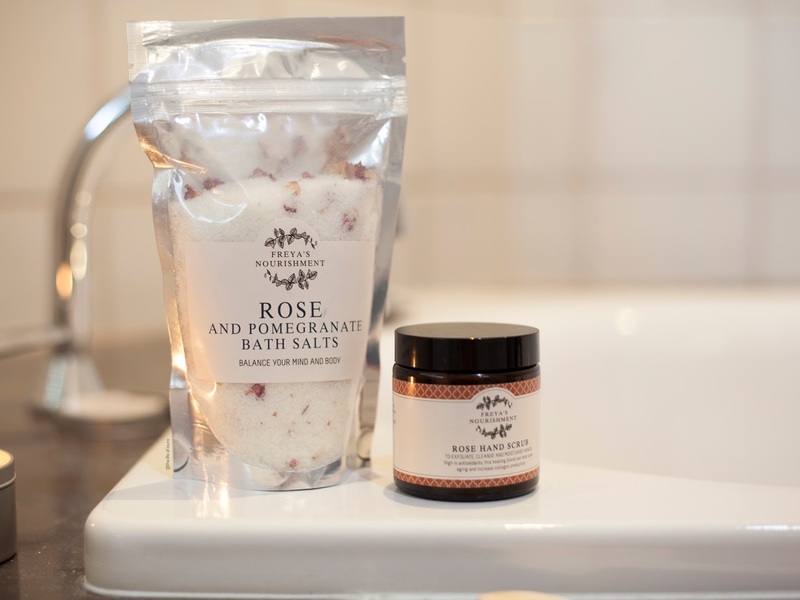 What I have been really enjoying in my pamper time baths is bath salts. It's only a recent thing I have started to really enjoy. I used to never really understand bath salts. When I bathed I wanted bubbles and fun colours and strong, sweet scents. As I have gotten older I have started to appreciate the subtly and calming quality that bath salts have. Once by bath is almost full I tip a few bath salts into the bath and let them begin to dissolve before getting in. 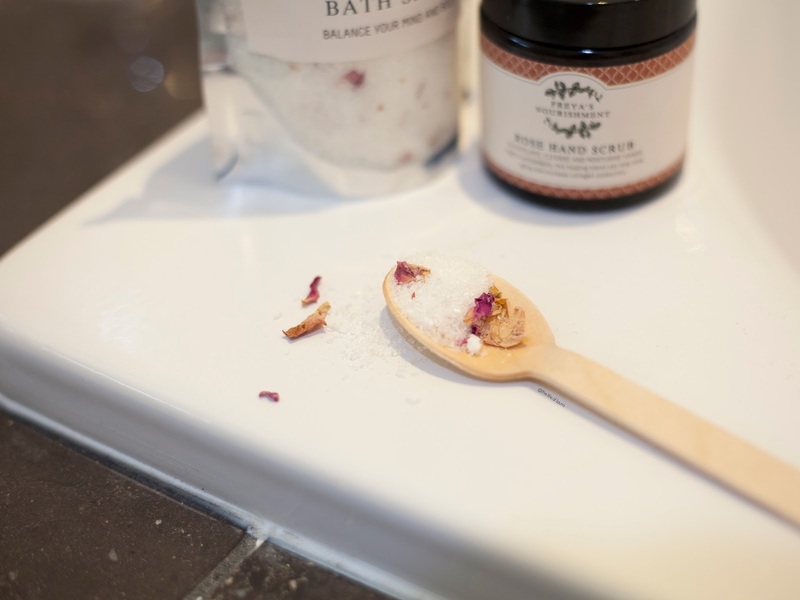 You can choose from three different bath salts from Freya's. 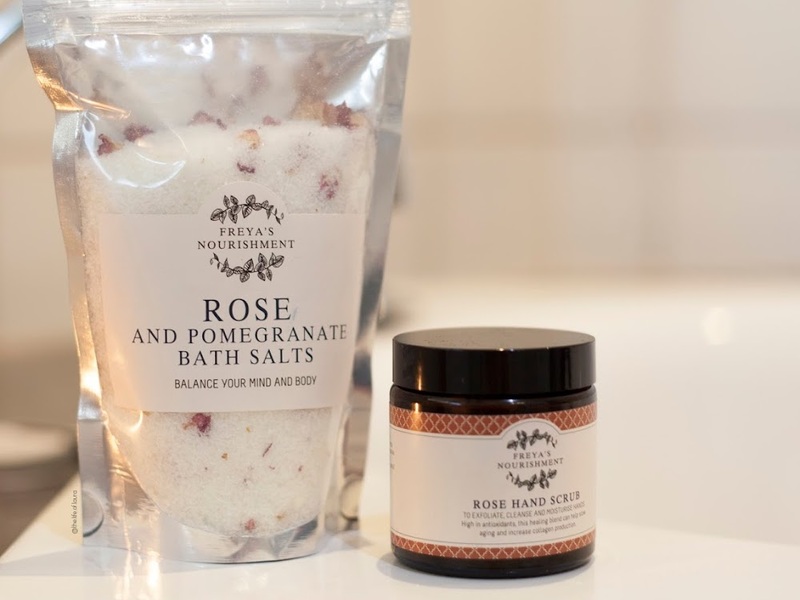 Lavender and Frankincense*, perfect for that before bed bath; Jasmine*, for a relaxing and uplifting bath; and finally the one that I will be using for this particular pamper session - Rose and Pomegranate*. Rose promotes circulation, reduces blood pressure and keeps your skin shining with youth and vitality. Pomegranate oil prevents free radical damage and slows the aging process by enhancing elasticity and promoting cell regeneration. 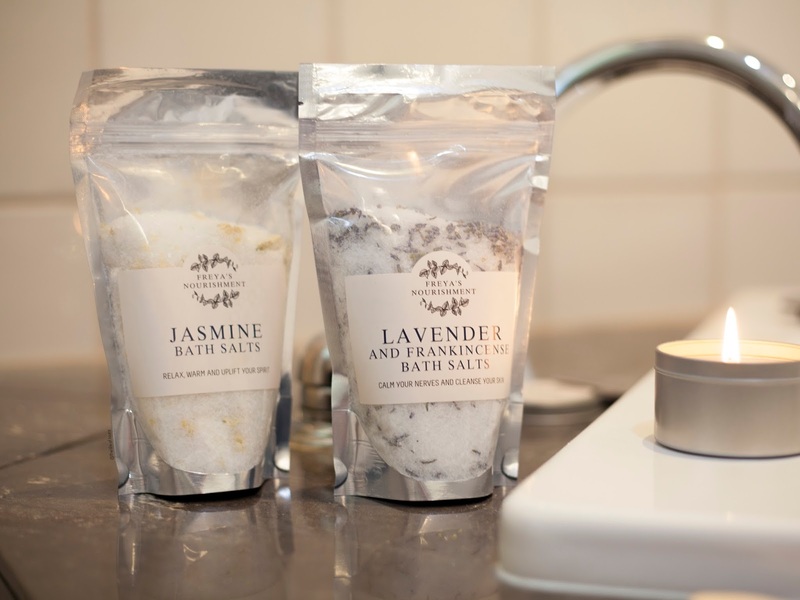 These beautifully scented bath salts are made with Australian sea salt, pure essential oils, nourishing Epsom salts and flower petals. 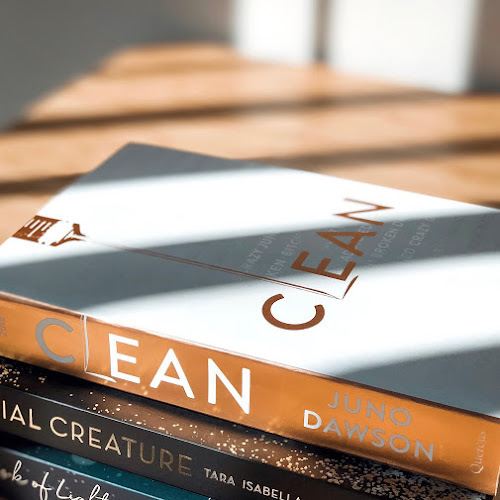 They have a subtle, but also power scent that seems to penetrate deep into your skin and senses, helping to distract you from the busyness of life and help you relax deeply. They also help to hydrate and leave your skin feeling fresh and happy too. While I am in the bath I like do use a scrub in some way. Today I will be using Freya's Rose Hand Scrub, which ties in perfectly with the scent of my bath soak. However, I actually quite like using this scrub on both my hands and feet. 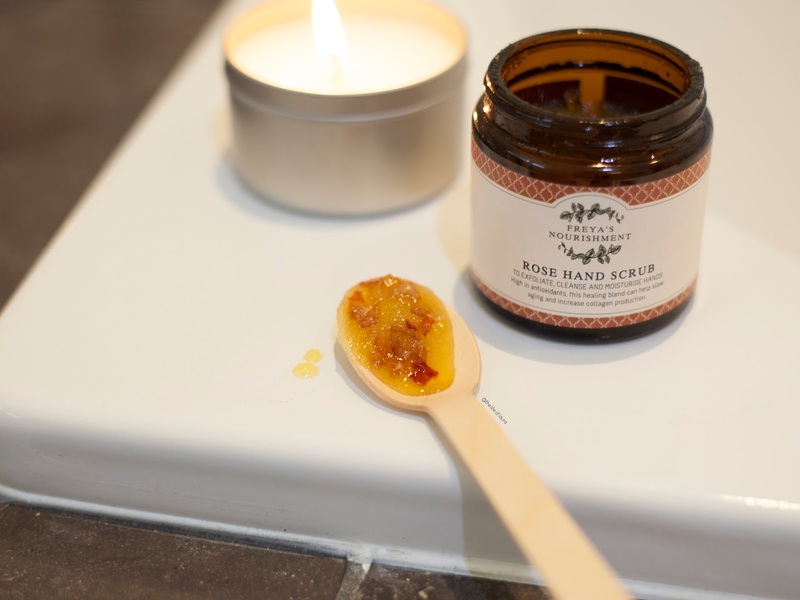 I take a small spoonful and massage it into both my hands and feet, letting it sink into the skin for a couple of minutes before rinsing it off. 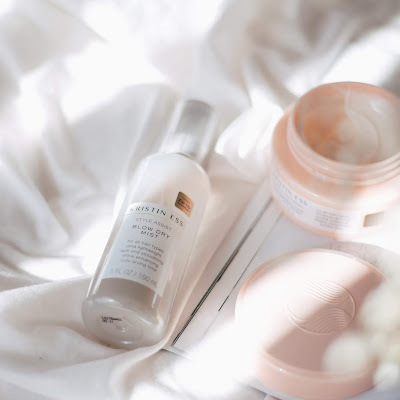 Unlike a lot of scrubs I have tried, this one has a strong oil basis, meaning not only does it buff away those dry patches on your skin, but helps to both soothe and rehydrate them afterwards as well. 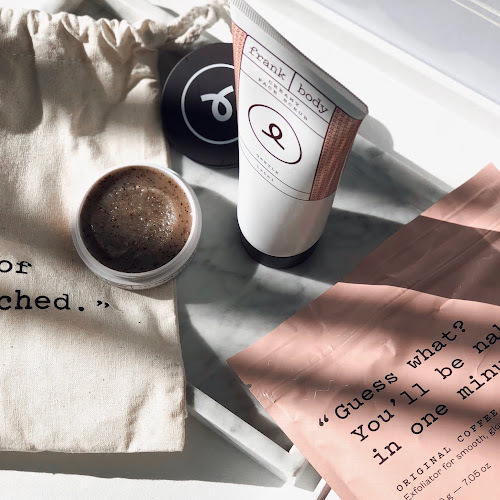 If you want a whole both scrub, Freya also has two options for you - the classic Coffee Coconut Scrub and a brand new Cacao and Lime. After I've scrubbed, I usually like to sit in the bath for another 15 minutes or so, enjoying my last few moments of peace and quiet before I have to return to the chaos that is life. 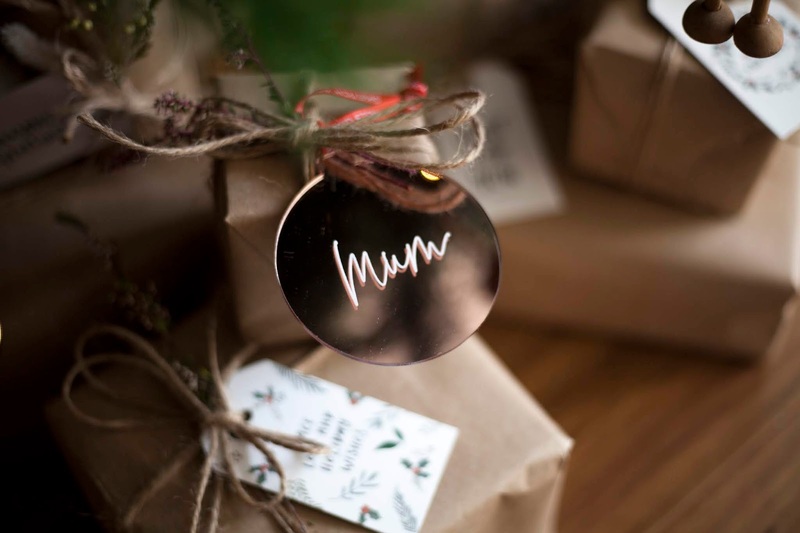 I'd love to hear about what is an important part of your pamper sessions, and again, if nothing more, I want to encourage you to take a moment for yourself this week. Even if it is not a full pamper session, take 5 minutes to just be with yourself.